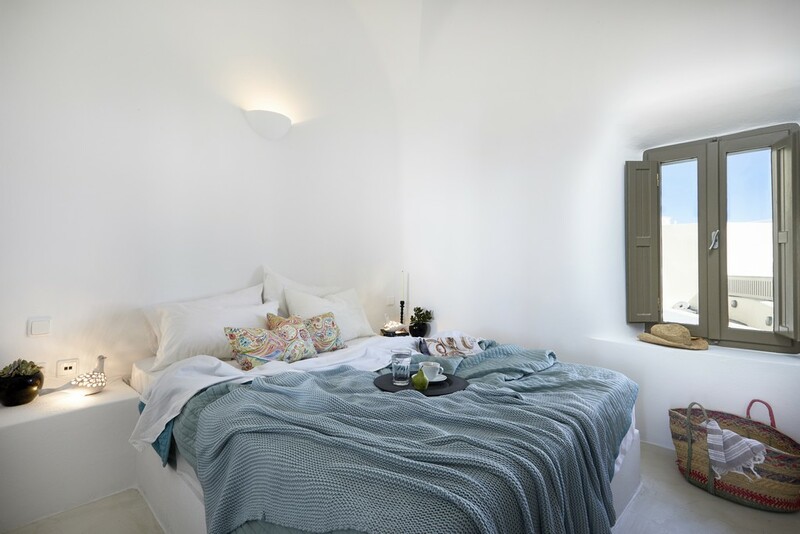 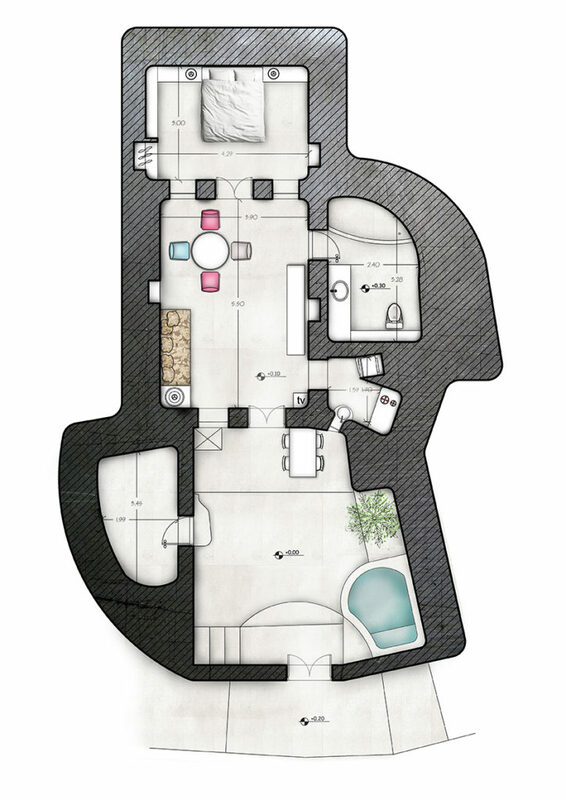 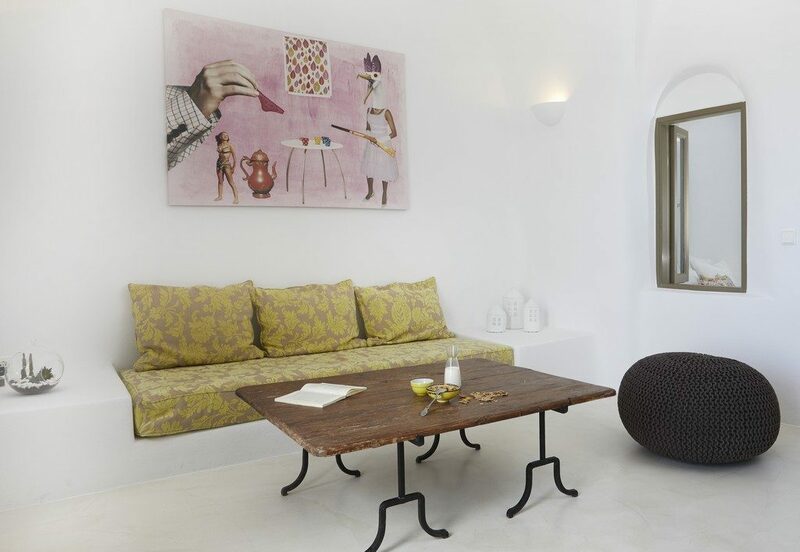 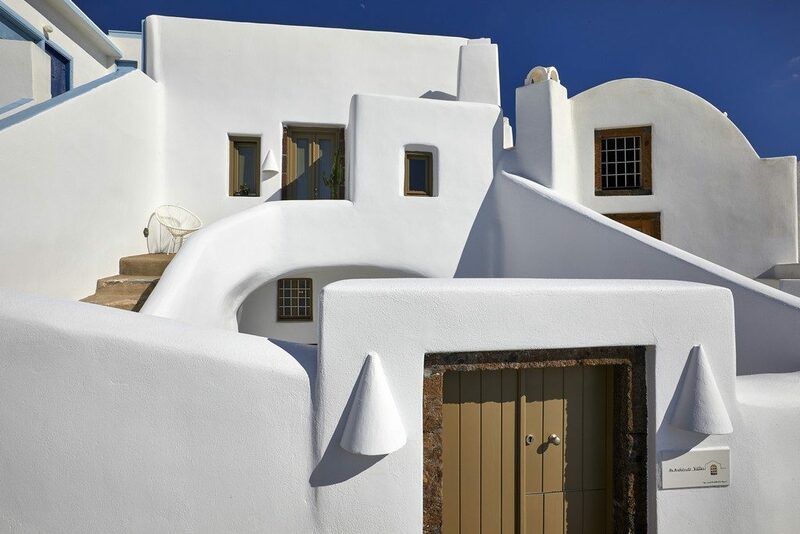 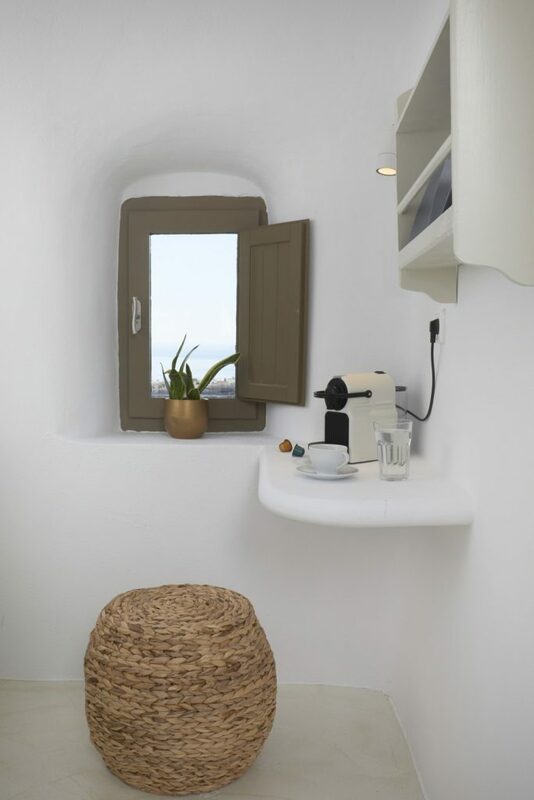 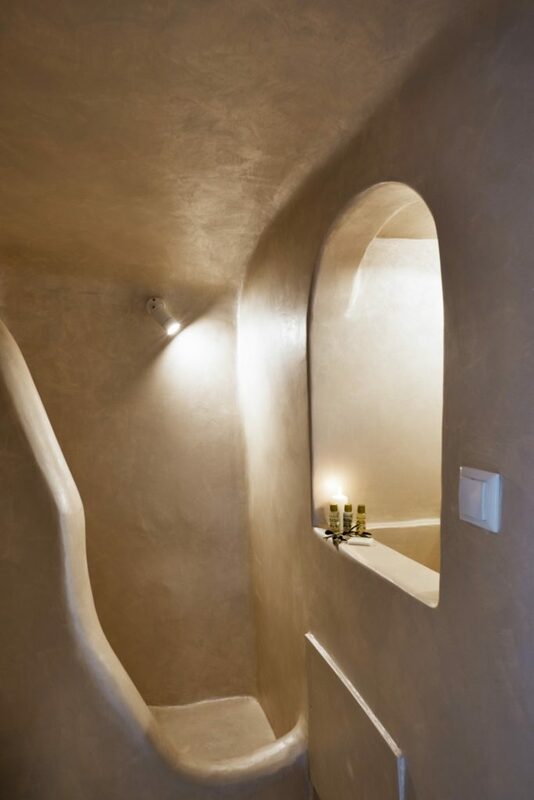 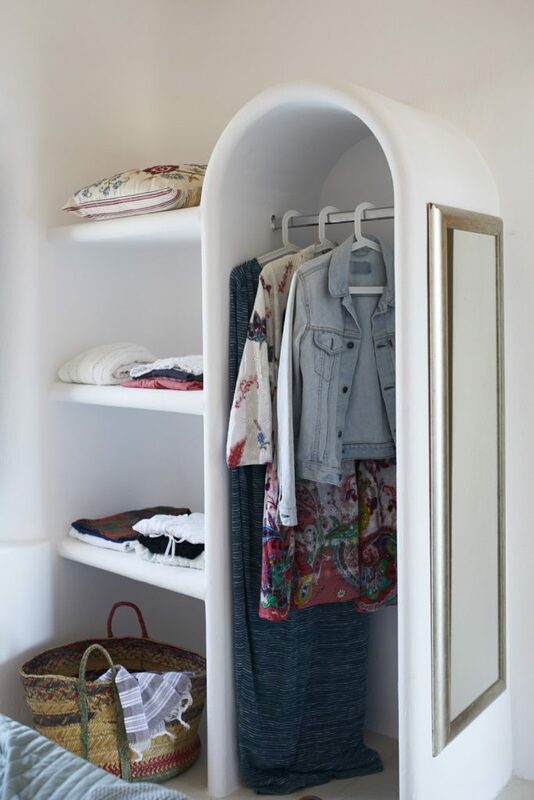 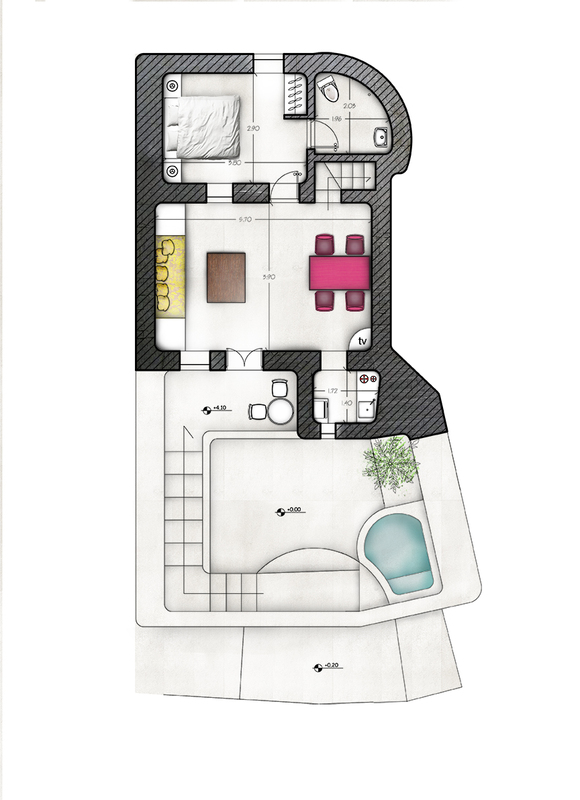 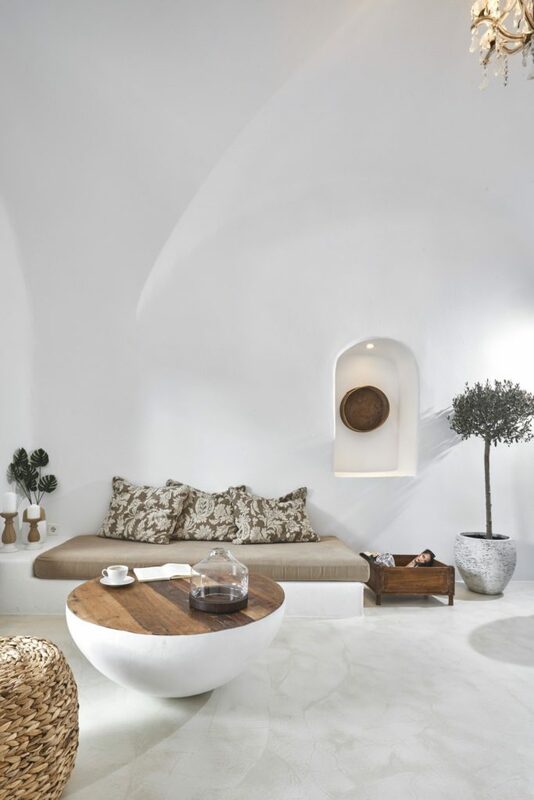 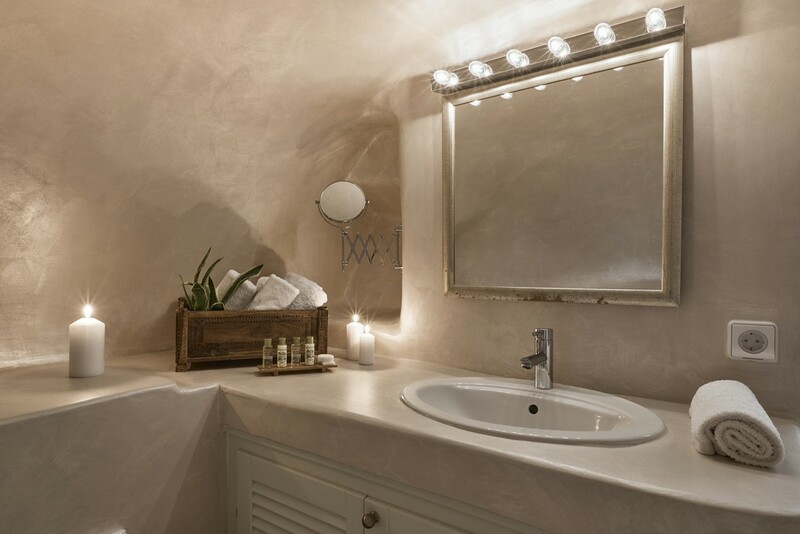 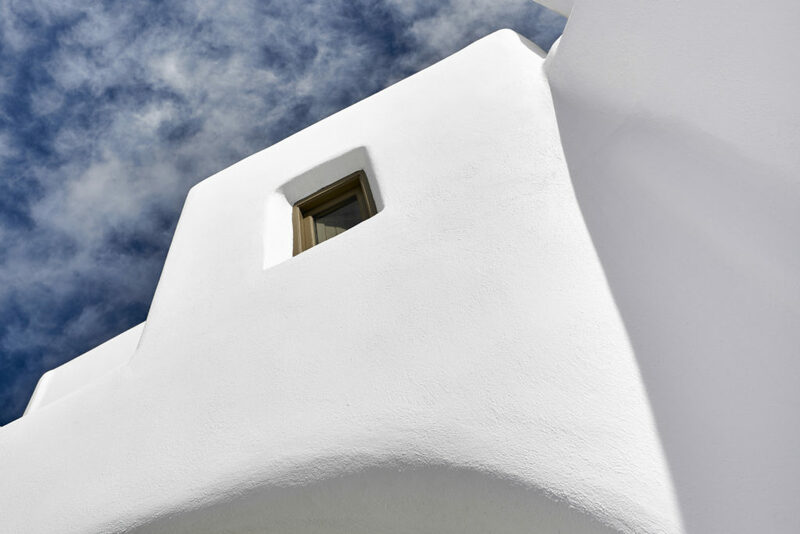 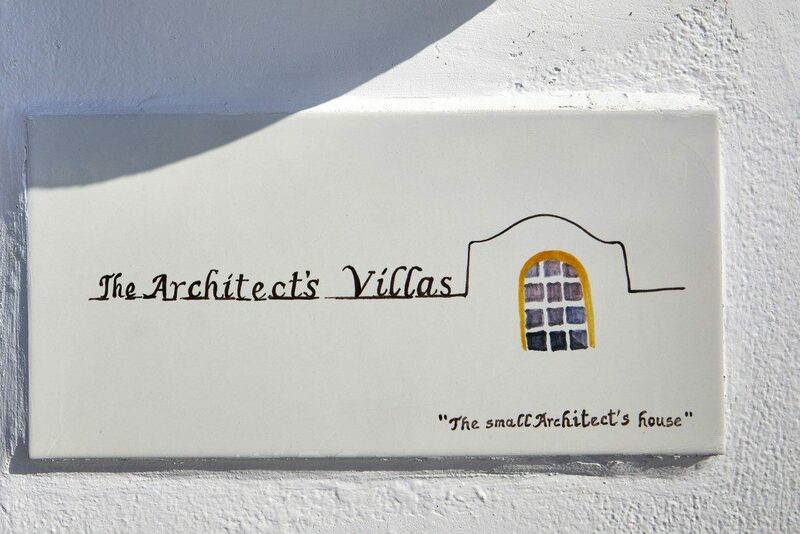 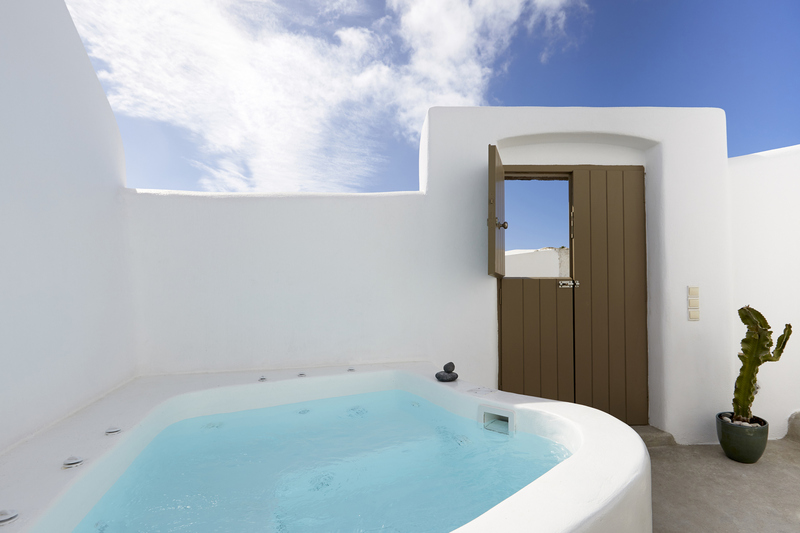 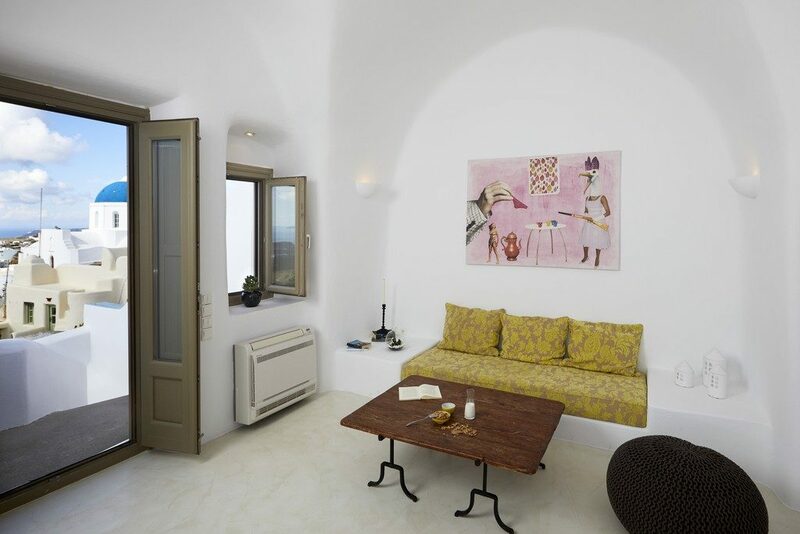 Located in the Castelli of Pyrgos village, the Small Architect’s house, is a private villa consisting of two apartments. 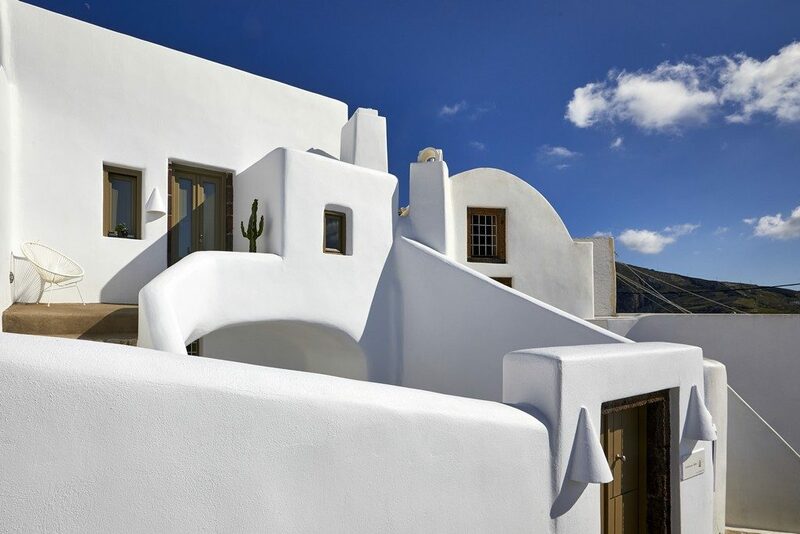 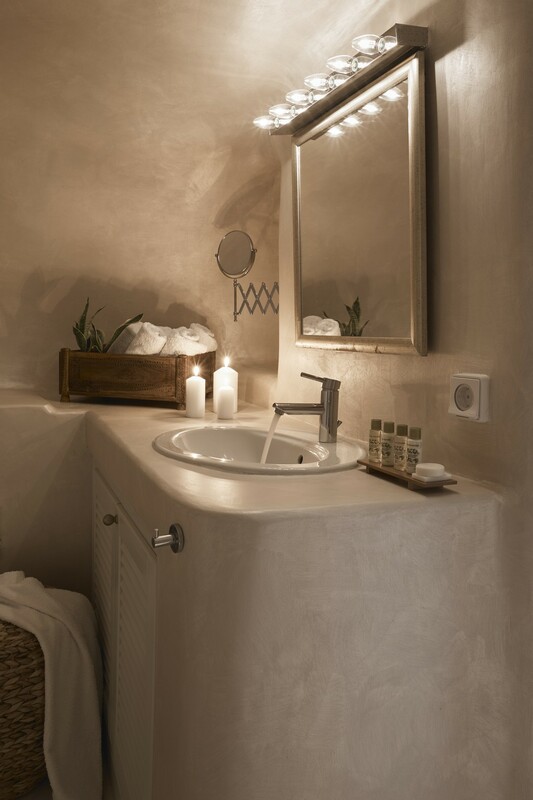 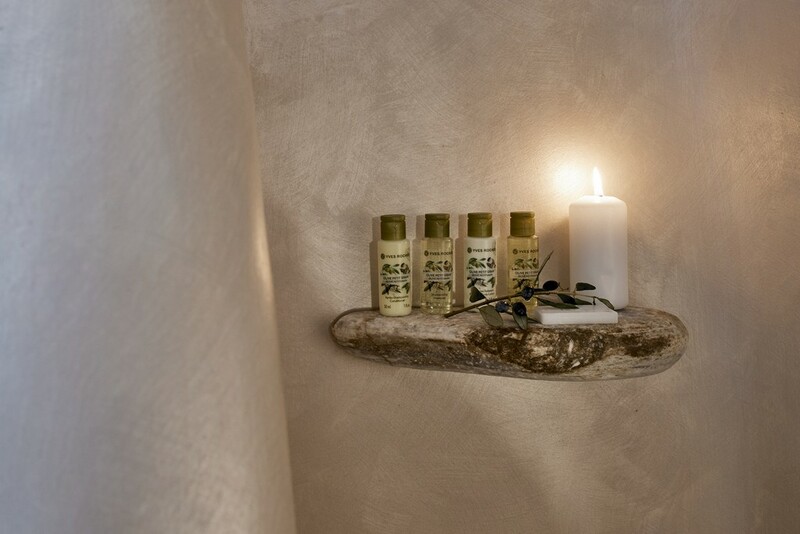 Inspired by luxury and elegance, it respects the local architecture maintaining a traditional feeling. 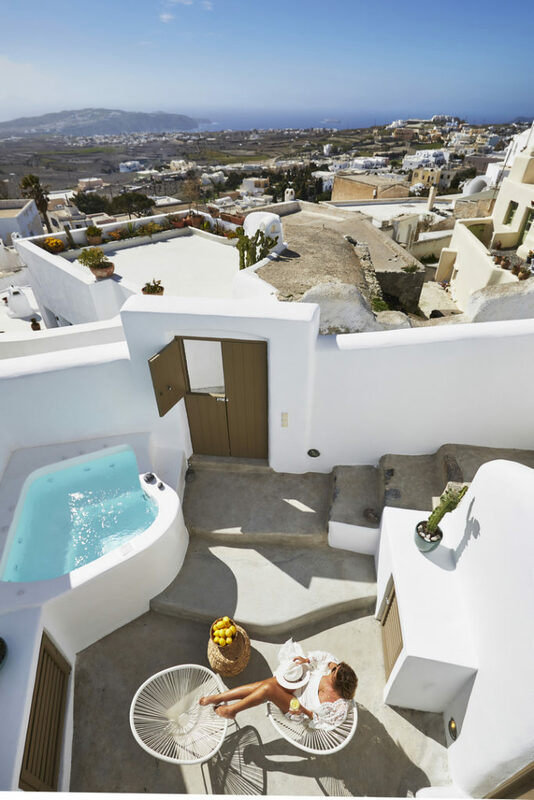 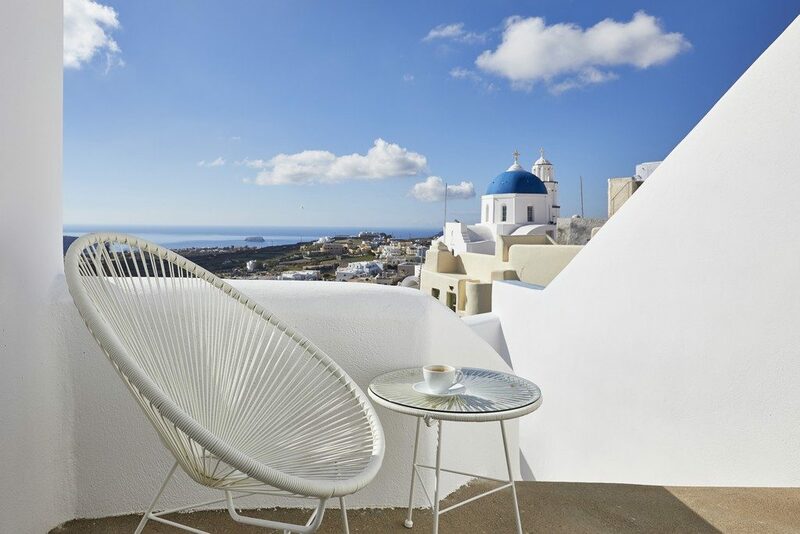 Located on the highest hill of the island, Pyrgos has a 360’ view of Santorini and it is characterized by a Cycladic architecture, ruins of neoclassical mansions, narrow winding paths, small white houses, galleries, vineyards, churches and breathtaking sunsets. 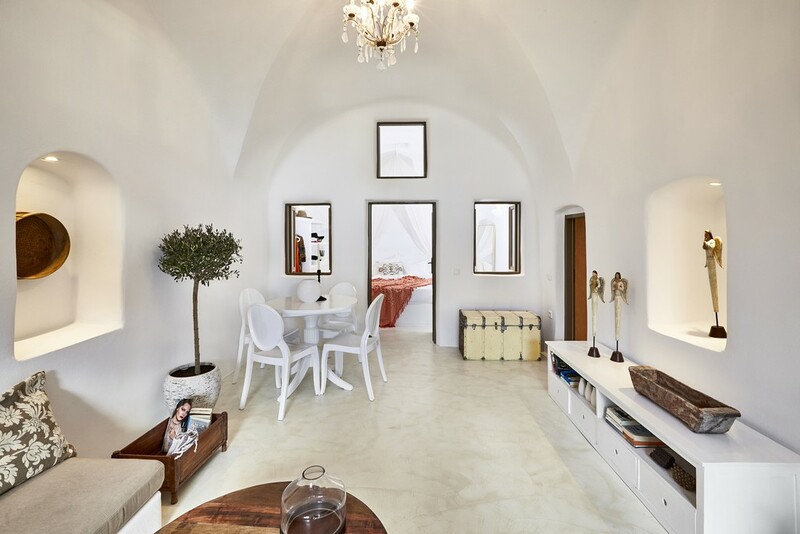 The Small Architects House is part of this unique urban environment and respects the local architecture, a perfect example of how history can meet a more contemporary style. 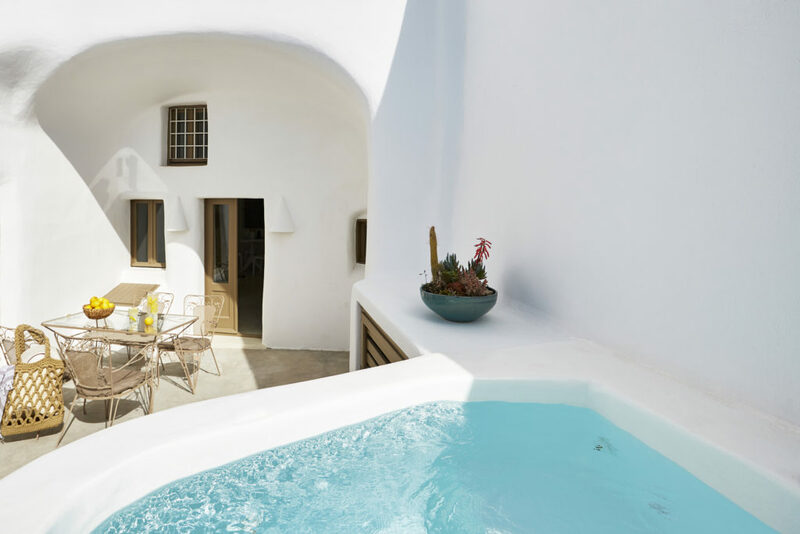 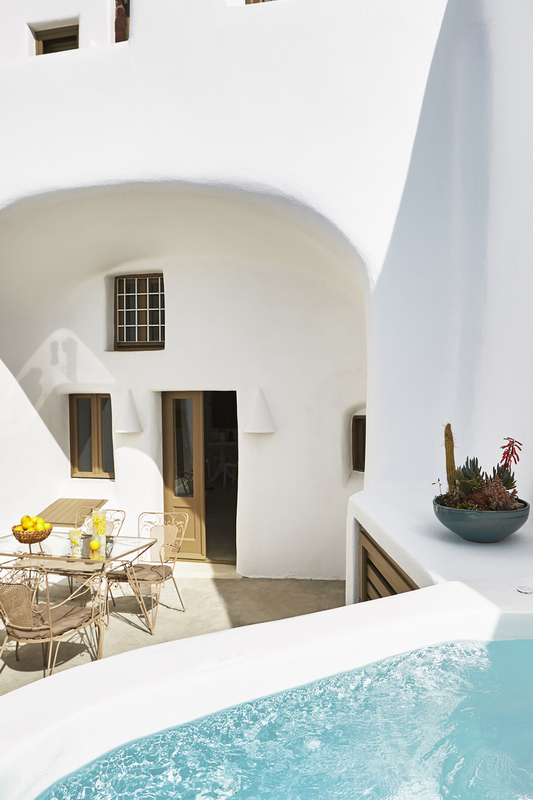 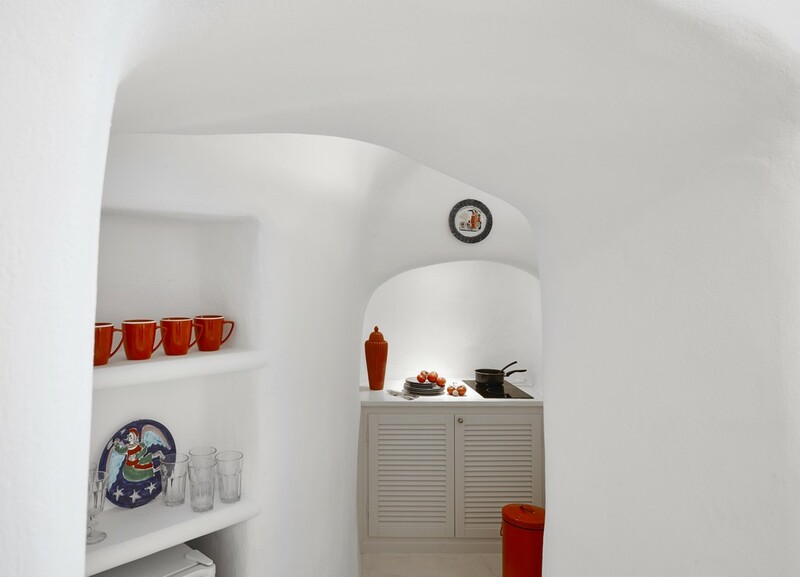 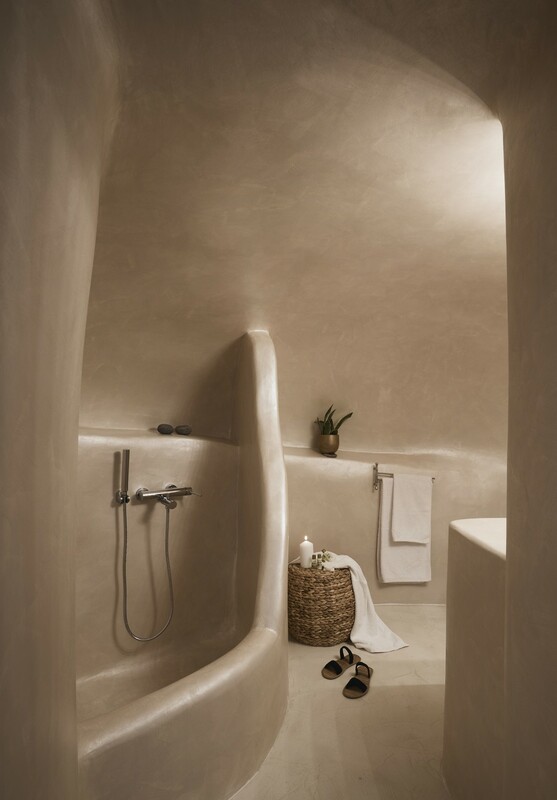 The Small Architect’s House is a multi level private villa consisting of two apartments: the ground floor partially built into the volcanic soil, like the traditional cave houses, and the upper level which offers a panoramic view on the island and the caldera. 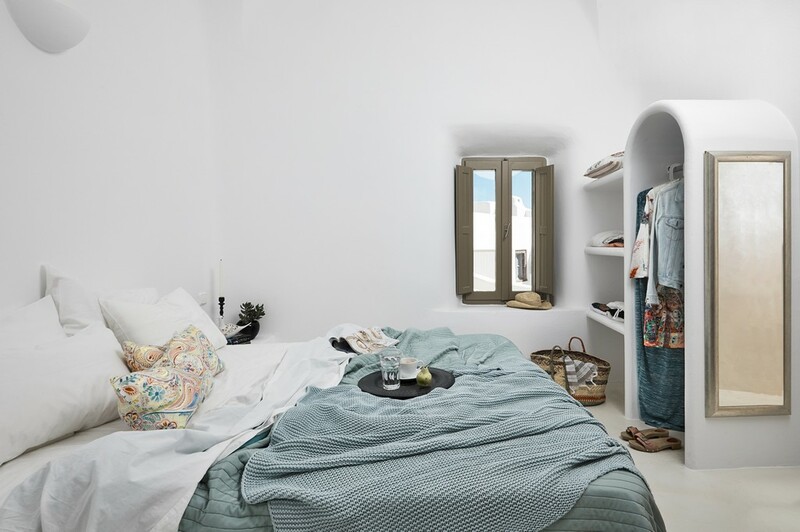 Blending traditional features with modern furnishings, each apartment consists of a bedroom with a double bed, an en-suite bathroom, a spacious living room with an extravagant dining table, a beautiful kitchen and either a terrace or a balcony. 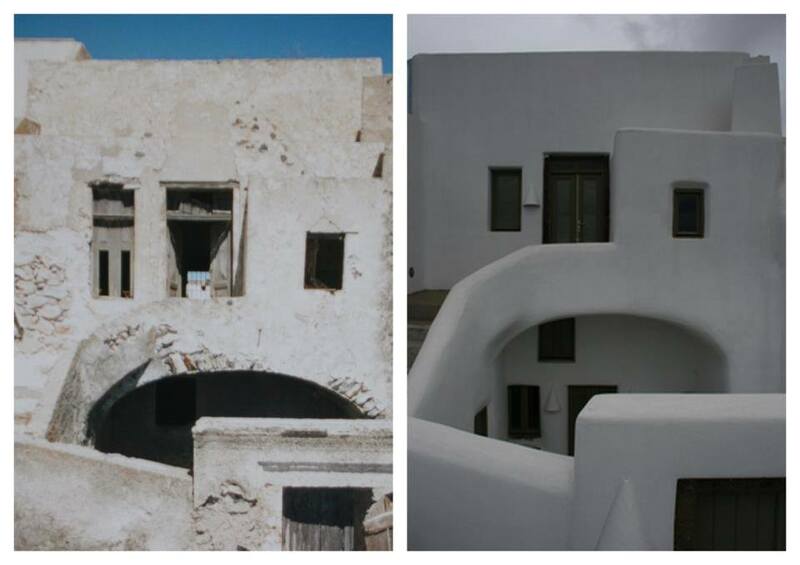 The façade and its openings has a south west direction. 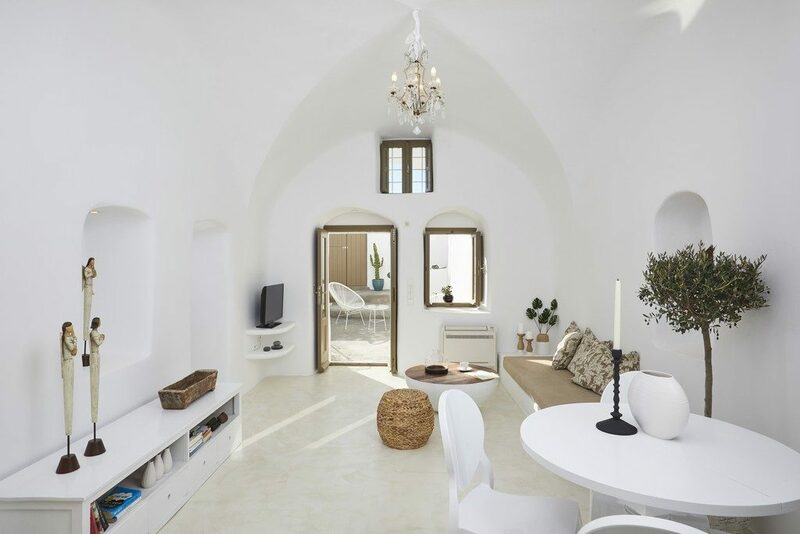 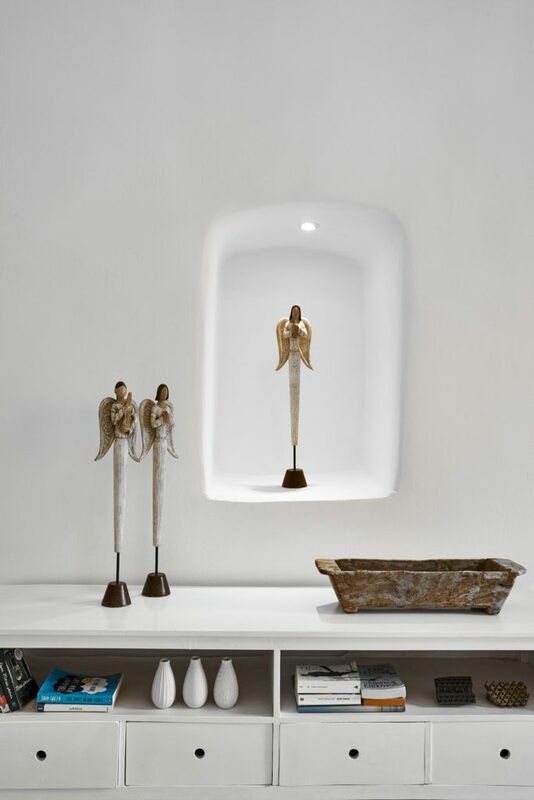 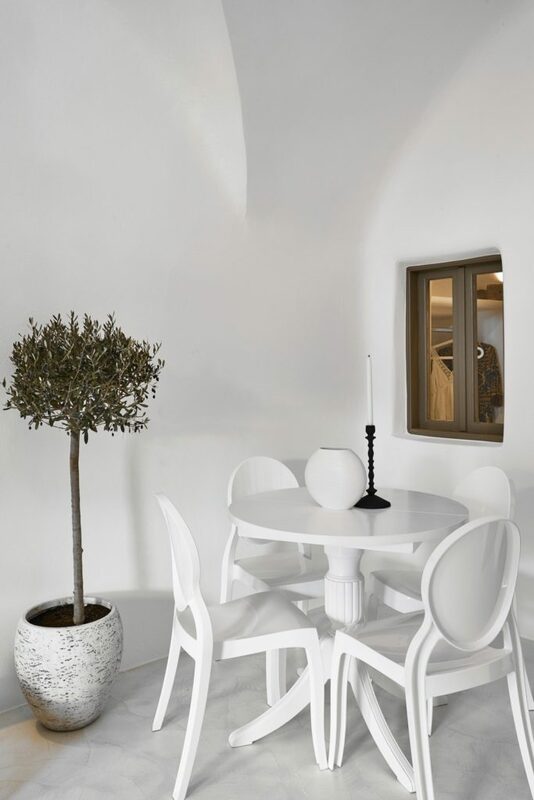 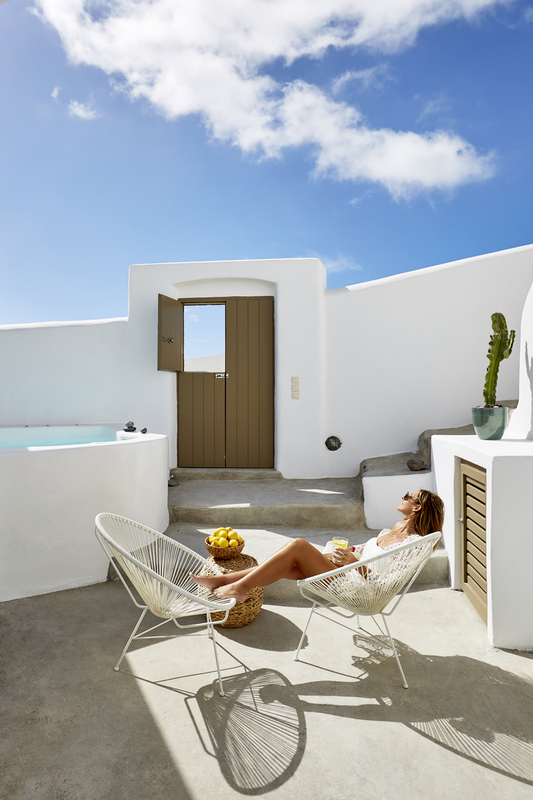 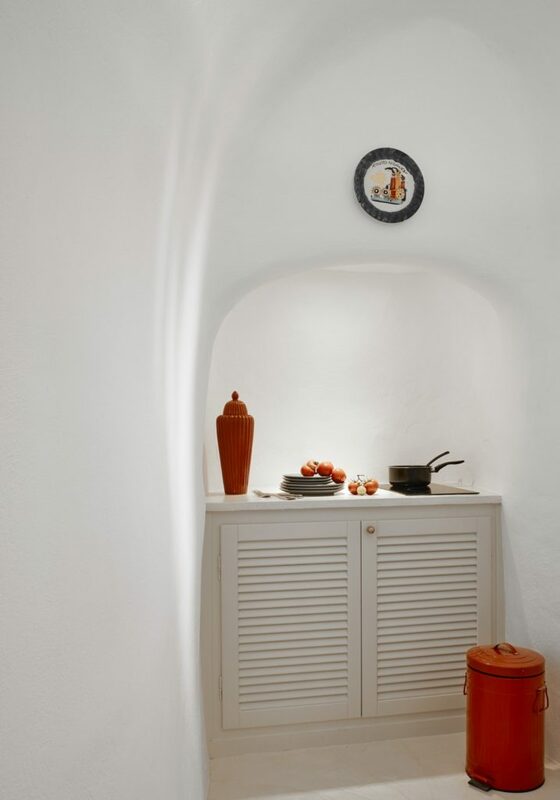 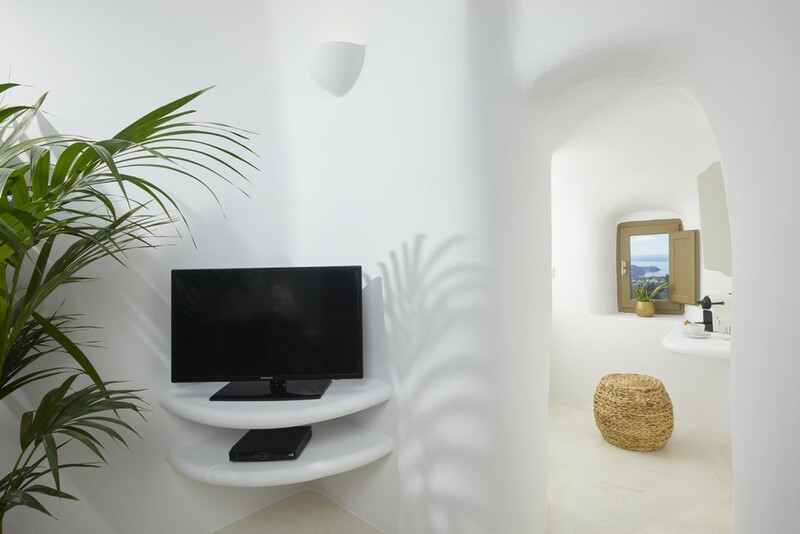 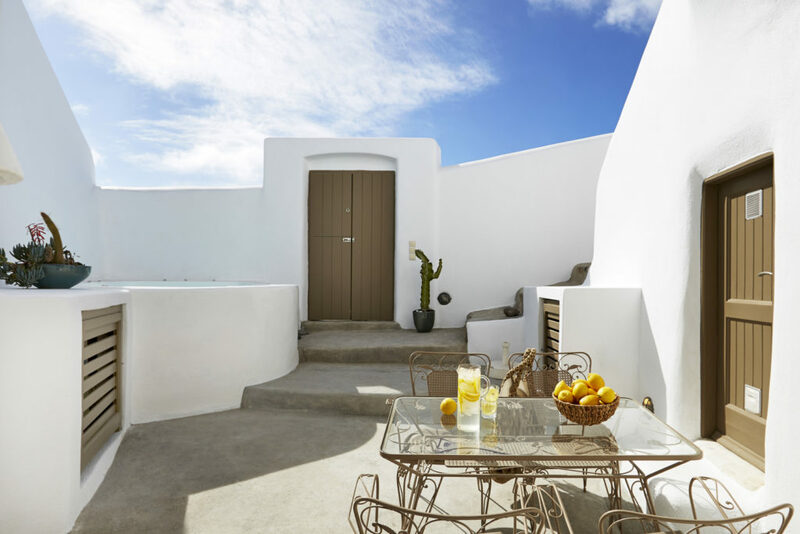 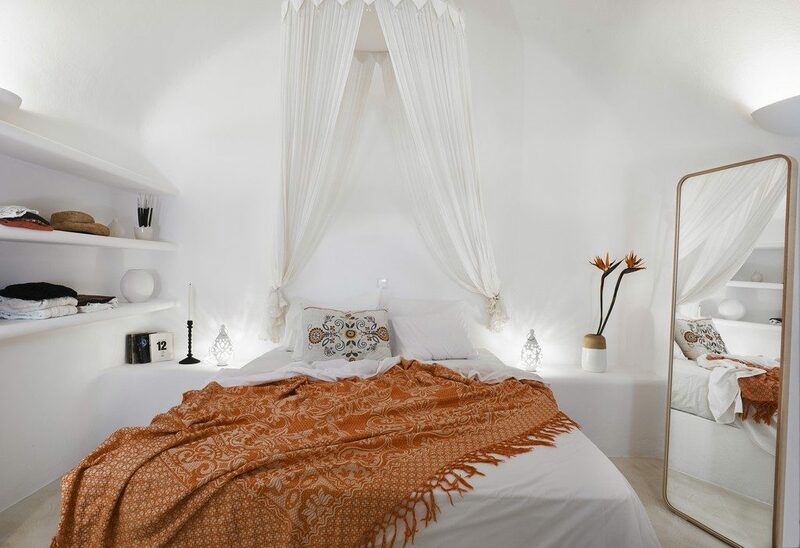 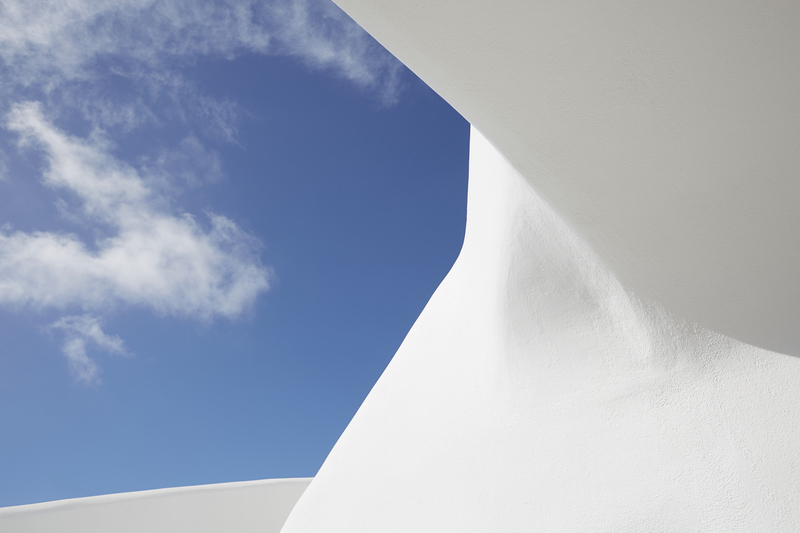 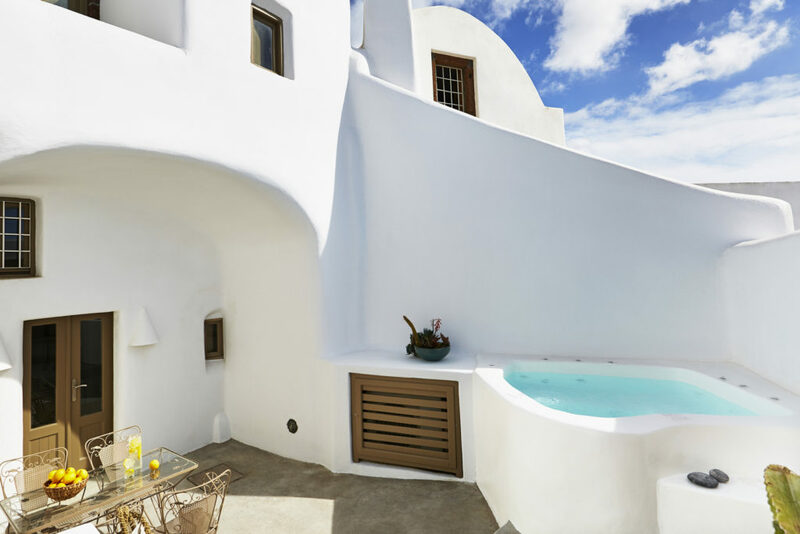 Inspired by the idyllic mood of the island, the white peaceful walls host a bold colored interior decorating style which harmoniously combines the authentic and the contemporary element luring into cheerful accommodation experiences.